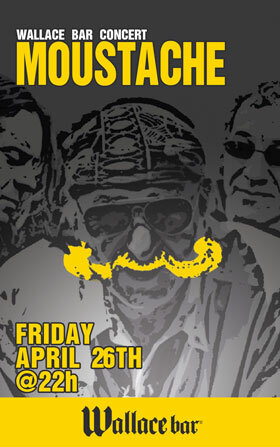 check our facebook page for upcoming events, promos and other shenanigans. 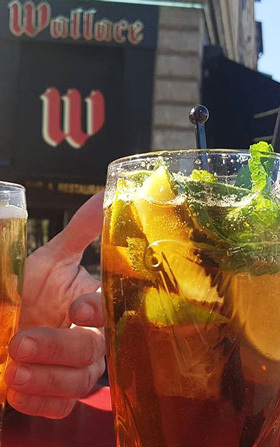 "L'abus d'alcool est dangereux pour la santé, à consommer avec modération﻿"
Enjoy refreshiing drinks, great food and a riverside view of the Saone with friends and family 7 days a week on our massive terrace in Vieux Lyon. 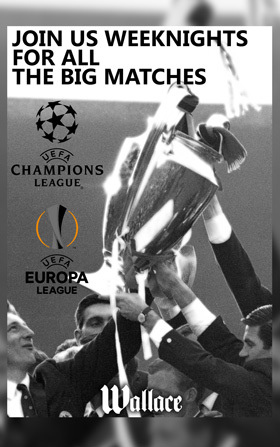 Has your team made it past the Group stages in Champions League and Europa League? Watch your favourite team dribble and kick their way towards Cup glory on one of 4 large TVs weeknights. Check our full TV schedule for the latest fixtures. 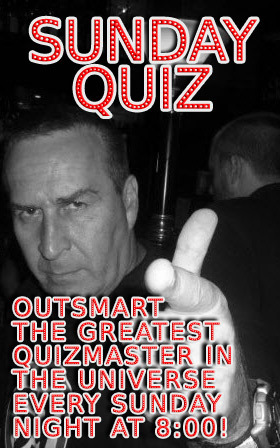 The BIGGEST and BEST quiz in Lyon is every Sunday night at 20h30! 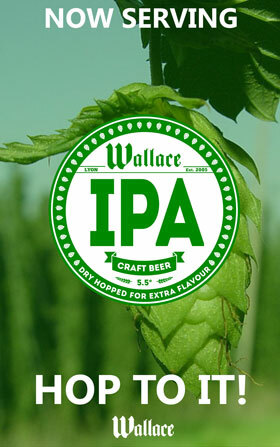 Take a photo with any Wallace logo, postcard, etc. 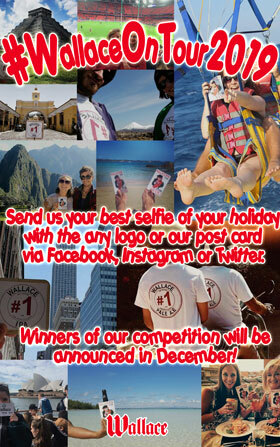 during your holiday and tag « #WallaceOnTour2019 » on your social media accounts to have a chance to win a prize. 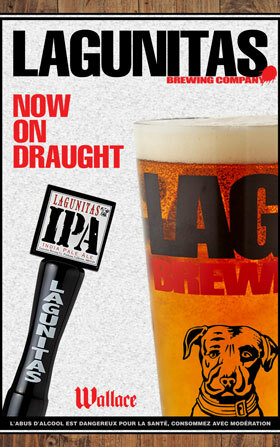 Lagunitas IPA was formulated with malt and hops working together to balance it all out on your taste buds so you can knock back more than one without wearing yourself out. Big on the aroma with a hoppy-sweet finish that'll leave you wantin' another sip. 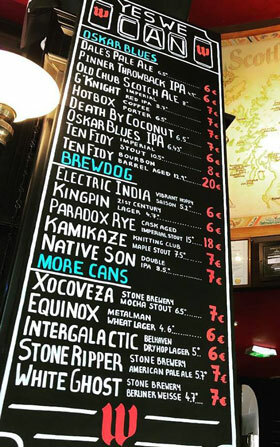 Try our latest edition to our growing list of craft beers. We've crafted this perfect beer full of dry hopped India Pale Ale yumminess. Craft beer 7 days a week, 365 days a year at your finger tips. © 2013 Wallace Bar All rights reserved.